Since 2009, Bayside Pavers has been providing San Francisco Bay Area homes and businesses with the professional design and installation of custom paving solutions. We work with home builders, developers, contractors, homeowners associations, pool companies and landscape architects in the greater San Francisco Bay Area. We've built our reputation on the top quality craftsmanship of our skilled team of designers and installers. We are known for completing our projects on time and on budget. We also offer a full five-year warranty on all of our work. We have the experience and expertise to help you create the outdoor living space you've been dreaming of! Whether it's a new driveway to up your home's curb appeal or a hardscape patio area for outdoor living, we can handle all of your needs. Our relationships with some of the top manufacturers in the industry mean we only offer the highest quality materials and provide homeowners with expert design and installation for any hardscape project! We provide each and every client with a first-class experience from when they pick up the phone or walk through our door until our last truck leaves their home. Our “no-surprises” proposal process means that you'll know the cost of your job before you sign a contract. We've built our solid reputation by completing projects on time and on budget. In fact, we pride ourself on our repeat customers and many customer referrals. 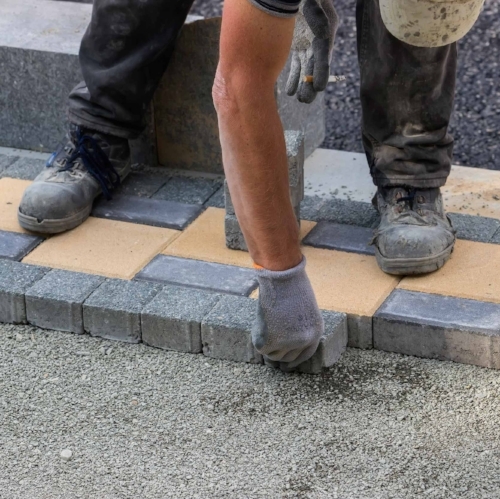 We offer our residential and commercial customers complete paving solutions from carrying the highest-quality materials to complete design and installation services. With no surprises! Whether you're seeking to improve your home's curb appeal, add value to your home, enhance a new build, or add pavers to your home or business, we're ready to help! Schedule a free, no-obligation consultation to discuss your project. Let us show you all of your options while together, we create the perfect solution to meet your hardscaping needs. If you live in the greater San Francisco Bay area, we'd love to talk to you about your residential or commercial project. Just give one of our Bayside Pavers team members a call at 1-866-287-2837 to schedule an appointment for a free consultation. At Bayside Pavers, we're always ready to help you create the outdoor living space of your dreams! If you're in the East Bay or South Bay areas, stop by our Concord, CA location at 2455 Bates Ave, Ste K.
Our Santa Rosa, CA location at 1619 4th Street Ste 12 can help you with your North Bay hardscaping project. Luiz is the business founder and owner. He has been managing and estimating projects for the last twelve years. Luiz strives to provide the highest quality work on time and on a budget. Adriana graduated from California State University, East Bay “CSUEB” with a Bachelor of Science in Business Administration. As Sales Manager, she her extensive experience in specialty paving contracting to her clients and is committed to customer service. Alex is our IT guy and is responsible for our online presence, websites, apps, and everything in between. He uses his skills to assist Bayside Pavers with marketing and organizing our Home Trade Shows. These two very dedicated team members have been part of Bayside Pavers all their lives. They are known to cause spontaneous giggle and controlling Bayside Pavers schedule. Our professional hardscape installers are the team that makes all the magic happen. They are responsible for bringing your dream of a beautiful landscape to life. Let Our Professional Paver Installers help you!